Auto shows rev every car lover’s internal engine, scratching that itch for all things automotive. 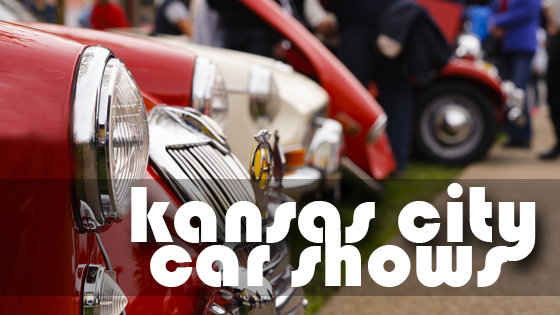 Luckily, Kansas City car aficionados are in for a treat this year, as there are a number of excellent car shows on tap. Here are a few of my favorites. 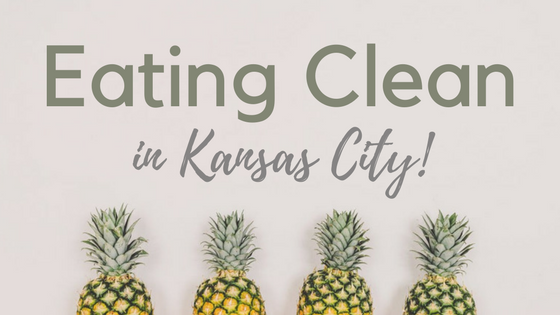 Eating Clean in Kansas City! If you’re like me, you love some good ol’ Kansas City barbecue. However, with all of the delicious restaurants that make up our city, it’s easy to forget about those food goals we all make for ourselves. But I have good news! You don’t have to sacrifice eating out just to try and stay healthy. Here are some of my favorite healthier restaurants I’ve found around our city that really hit the spot! Unforked. This restaurant prides itself on providing honest, local, fresh ingredients in all of their dishes. Their love for natural ingredients sets the pace for their clean menu! Their goal is to to help you feel better so you can live healthier–how can you not love that?! From gazpacho to burgers, the natural take on their menu is truly tasty. You have to try it! Cafe Gratitude. The name itself is inviting. They support local farmers, sustainable agriculture, and environmentally friendly products. Between their sustainability efforts, cleanse programs, and plant-based menu, you’ve hit the clean jackpot here! When you walk into the restaurant, you immediately just feel the love put into this place. The menu is intriguing, delicious, and 100% organic. Next time you go, I suggest you try the spaghetti squash alfredo! From their bowls to their pasta, there is something for every tastebud to enjoy! Protein House. This restaurant was created with the fitness and health conscious community in mind. Morning, noon, or night, the doors are open for you to rejuvenate and relax with a clean meal. This is truly a unique place that adjusts to everyone’s specific needs. Their friendly staff will greet you and you’ll receive your order soon after that. From their signature pancakes to their delicious wraps, there’s something for you to enjoy every hour of the day! When you eat good, you feel good. So start working these healthier restaurants into your nights out and you won’t feel guilty about your meal! Do you have a favorite healthier restaurant in KC? Tell me about it so I can try it out! July Fourth in Kansas City! Independence Day in Kansas City is jam-packed with exciting events sure to make your holiday sparkle! From spectacular firework shows to exciting concerts, there is a way everyone can celebrate their American spirit! I’ve put together a few of my favorite ways to let freedom ring this year: KC Riverfest: This is the premiere Independence Day celebration in our city. 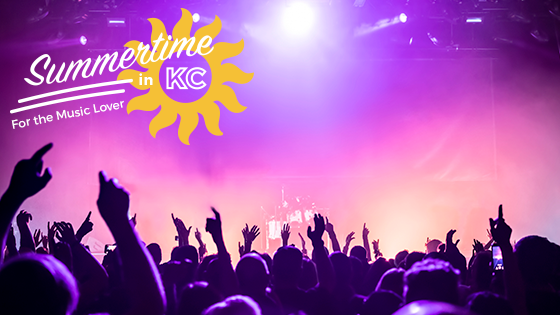 From KC’s tastiest food trucks to multiple music stages, this is a party you don’t want to miss. Entertainment will start around 4:00 p.m., so be sure to bring your own lawn chairs or blankets to settle down with! 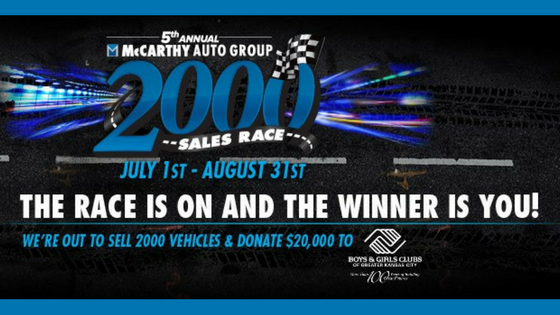 Located along the beautiful Missouri Riverfront, this event exceeds my expectations every year. Close out this fun-filled day with the largest fireworks show in the Midwest! Your night is sure to end with a bang! Fireworks & Salute To The Union: For my friends that live more on the Kansas side, the Salute at the Union is the event for you! Live entertainment starts at 4:00 p.m. and the fun just continues from there. Located by Merritt Lake, this free event is fun for the whole family! Fireworks will go off at dusk, giving you the perfect ending to a patriotic day. Legacy Blast Fireworks Extravaganza: Start your patriotic party a day early in Lee’s Summit! On July 3rd starting at 6:00 p.m.. Food vendors, local entertainers and inflatables will fill Legacy Park! This is the perfect family-friendly event to celebrate the holiday. Bring blankets to cozy up under the stars and enjoy the firework display choreographed to music! Star Spangled Spectacular: Thousands of spectators flock to this event in Overland Park each year. Held at the Corporate Woods, this event is packed with live music, food, and fireworks! Proceeds from sales on-site go to benefit local charities while saluting our nation’s veterans. Summer Fireworks at Kauffman Stadium: While our boys in blue are away on July Fourth, Kauffman Stadium will be gearing up for their next spectacular Summer Fireworks show on Friday, July 14th! Maybe you’ll be out of town or preoccupied on the actual holiday, so celebrating July Fourth on the 14th is the perfect way to continue celebrating the land of the free! And as if this night couldn’t get better, it’s also Buck Night during the game! $1 hot dogs and peanuts paired with a night of fireworks… sounds like the perfect night to me! 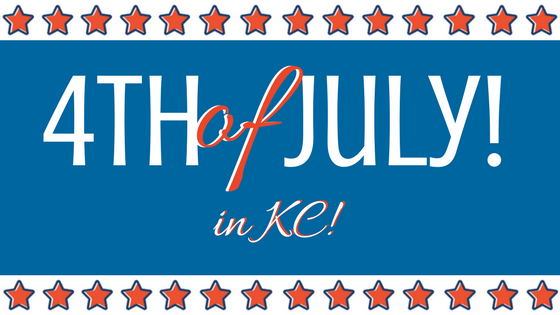 How are you planning on celebrating the Fourth of July in KC? Let me know about it in the comments below! Restaurants around our city are rejoicing for Father’s Day weekend! 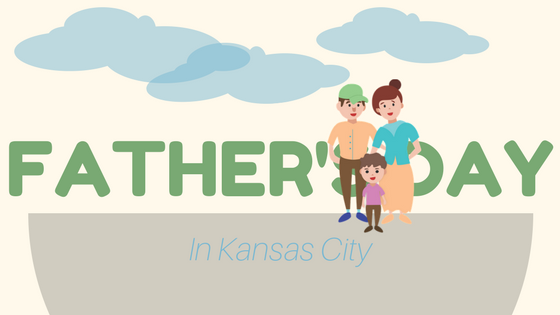 The brunch options for Dad in Kansas City are endless, and there are countless weekend activities happening to celebrate the fathers in your life! Here are some of my favorite happenings: Kansas City Zoo: Celebrate your papa bear with a trip to the zoo! On June 18th, dads will receive free admission AND a complimentary hot dog. Who can pass that up? Stroll through the animal kingdom with the king of your jungle and create memories you’ll never forget! Pioneer Trails Adventures: For that history buff father of yours, explore the great outdoors in historic Independence, Missouri! On June 17th Pioneer Trails Adventures is offering half off admission for dads! From touring Civil War battle sites to the Truman’s home, this trip back in time is the perfect event to experience alongside Dad! Boulevardia Father’s Day Beer & BBQ Brunch: Get Dad something he’ll really love this year with a ticket to the Boulevardia Festival! Go the extra mile and snag a ticket to their special Father’s Day brunch! Boulevardia is the perfect blend of beer, food, music, and fun! If I had to guess, that would definitely peak your father’s interest. This festival is SO fun, and experiencing it with your dad–even better! Father’s Day Run: Whip Dad into shape with a family friendly run on June 18th! There’s a 5K, 10K, and kid’s run, all guaranteed to make that fitness loving father of yours happy! Exercise your love for your dad while supporting a great cause–all proceeds go to benefit Village Shalom’s programs and services for their residents and families. Father’s Day Brunch: Find something that suits your dad’s taste at one of the many delicious restaurants around KC! You can’t go wrong with a good meal. Treat Dad to a brunch buffet from Nick and Jake’s mouthwatering menu! Or, drive over to Summit Grill and Bar to enjoy their Father’s Day barbeque brunch with free beer for Dad and live blues music–now that’s the perfect way to celebrate! 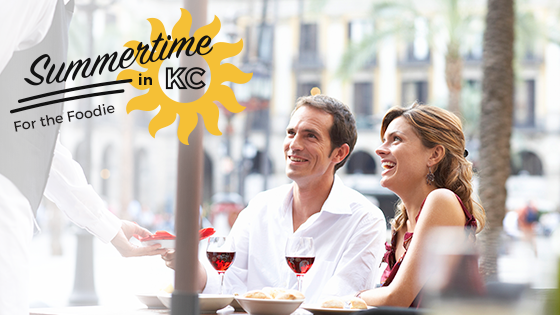 They say the way to a man’s heart is through his stomach, so you can’t go wrong with all of the delicious restaurants around Kansas City! Do you have a go-to Father’s Day tradition? How about a favorite brunch spot for Dad? Let me know in the comments below! If you’re a sports fanatic (like me), Kansas City must be a sports haven for you! 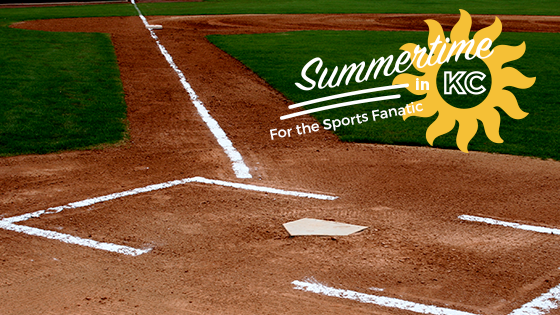 Whether you love cheering on your favorite professional team (go Royals), or you are the starter for your work’s softball team, there are tons of games and events happening around our city to keep your summer sporty! Here are a few of my favorite sporting events happening around KC: Royals at Kauffman Stadium: Our beloved KC baseball team’s 45th season is underway! Attending the Royals’ home games has always been a summer must for me. Aside from the great game of baseball, there’s always something happening at the stadium. From the summer fireworks to T-Shirt Tuesdays, the overall atmosphere is an experience you don’t want to miss out on. If you can, try and go on their next Buck Night, it’s my favorite! Sporting KC: If you haven’t attended an MLS game yet, you’re missing out! Catch our team’s next home game at Children’s Mercy Park as they continue on their quest for the U.S. Open Cup! Click here to view their schedule. From their involvement in our community with their Blue KC Sporting Samaritans program to their fun promotional matches, I love cheering on this team for so many different reasons. KC Olympics: Perhaps you’d rather get in on the action than cheer on the sidelines. Consider joining a sports league! This is a great, fun way for adults to exercise their love for sports or perhaps relive the glory days from a sporty past life. Get ready for the KC Olympics this summer by joining a team playing kickball, sand volleyball, softball, wiffle ball, or soccer! Chiefs Preseason: While we’re still months out, I can’t wait for our KC Chiefs to kick back into gear! The excitement surrounding these first preseason games is the perfect way to close out your summer with a bang. We’ll get to see how the San Francisco 49ers do under their new coaching as our Chiefs take them on at Arrowhead Stadium! What game are you most excited for this summer? While I’m #RaisedRoyal, I love supporting all of our KC teams! I sure am thankful for these summer nights filled with the cheers from our fanatic sports fans! Summer in Kansas City is one of my favorite times of the year! There is ALWAYS something going on. Between festivals, plays in the park, and concerts, the possibilities are endless. I especially love all of the artists bringing their talents to our city. If you love a good music scene, Kansas City has a vast array of fun and exciting tunes to fill your ears with entertainment. Check out these sounds of summer! Kansas City Live. Hot Country Nights are taking the stage in The Power & Light District! Featuring artists like the Josh Abbott Band and and Gretchen Wilson, hitting up the #HCNKC is the perfect way to spend your summer nights. If that isn’t enough to convince you, many of their concerts are FREE! Taps At The Tower. Heard at The National War War I Museum and Memorial, the musical piece Taps played on the bugle will be played every Sunday evening at sunset from June 18th – June 24th. While this is a more sobering experience than the busting concerts elsewhere in KC, it is a very pleasant way to spend an evening. Have a picnic and enjoy the Museum’s outdoor grounds leading up to the Taps bugle call at sunset. Vans Warped Tour. While this touring event isn’t actually making its stop in our beloved Kansas City, it’s not too far! The Vans Warped Tour will be making its debut in Bonner Springs, KS on Thursday, July 27th. There are so many different bands featured on the tour, I can hardly count them all! While this musical fest might not be everyone’s cup of tea, it’s definitely a summer must for the music lovers out there! If you have a child under the age of 16 that is clammering to go, parents get in free! Learn more about the parent ticket here. Do you have a favorite artist visiting Kansas City this summer? Tell me about it! I’m always looking to expand my musical horizons. There are so many exciting music events that are just around the corner–I can’t wait! From museums, to festivals, to theater in the park–there’s always something happening in KC for that side of you that loves the arts! There are a multitude of great events happening this summer, but I narrowed it down to my favorites! KC Fringe Festival: Inspired by the famous Fringe Festival in Edinburgh, Scotland, this is a festival for the arts. Kansas City’s take on it gives artists of all backgrounds an opportunity to showcase their art right here in our city! From visual arts to performing arts to film, there will be something at this festival to challenge your creative mind and entertain you! 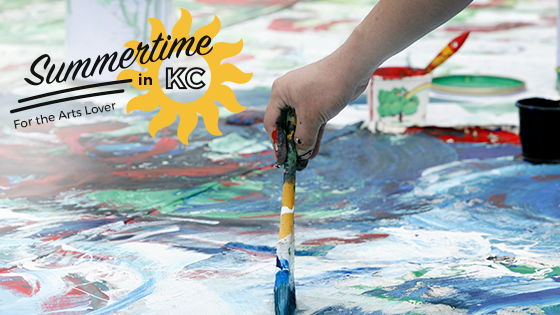 Join in on the fun at KC’s 13th Annual Fringe Festival July 20th – 30th! Museum at Prairefire: This beautiful museum has exhibits for all ages. Through a collaboration with the American Museum of Natural History and other institutions in the Kansas City area, you’ll experience intriguing exhibits celebrating the natural history of our region and the world! From seeing the world’s largest dinosaurs to summer camp for your little ones, a trip to the MAP is a definite summer must! Heart of America Shakespeare Festival: This renowned KC theatre organization is celebrating 25 years! In honor of the anniversary, now through September they are presenting “25 for the 25th,” a series of 25 performances, presentations, and more. 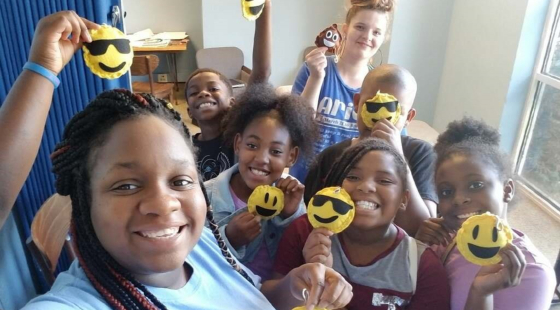 This series is in collaboration with several of KC’s museums, art organizations, and communities along with year-round education programs for youth. Now through July 2nd, you can watch their free professional production of Hamlet in Southmoreland Park! To view their schedule click here. Fourth Fridays Art Walk: Located in the charming downtown area of Lee’s Summit, experience an exciting range of activities every fourth Friday of the month now through August! Exercise your artistic side through street theater, artist showcases, music in the park, yoga, cocktail crawls, and more! These Friday events are packed with so much, you don’t want to miss it! The Theatre in the Park: Join in on their 48th season of fun! The Theatre in the Park is the largest outdoor community theatre in the country–aren’t we lucky it’s right here in our backyard?! Each summer they produce a season of Broadway-style musicals and host a variety of events. Their outdoor amphitheater is located in a beautiful spot in Shawnee Mission Park, perfect for picnicking while you enjoy a show! Their summer season is packed with some favorites of mine including famous musicals Grease, Spamalot, Beauty and the Beast, and more! General admission tickets are only $8, what a steal! To learn more, about their productions, click here. Whether you’re a true arts lover or not, Kansas City has a variety of opportunities for you to exercise that creative side I know we all have! What’s your favorite KC museum? Tell me about it in the comments below! Kansas City has my heart for a multitude of reasons, but the scrumptious food that fills our city takes the cake! The summer is particularly great thanks to exciting food and drink events that flock to our town. So, if you’re like me and you love to try new tastes and treats, then you’re in for a great summer! Take a break from your work week and feast upon these appetizing affairs: Boulevardia: This pop-up party is coming to the Stockyards District this summer! On June 16-17, this is the perfect way to spend Father’s Day weekend. From beer brewed just for Boulevardia to unique food vendors and musical performances, this event truly is the cure for all that ales you. A hand-picked selection of local food trucks can be found in their Food Truck Alley. You can also snack your way through the weekend at their Taps & Tastes Experience: enjoy their featured craft beers and delicious bites uniquely created to compliment the drafts. Is the sound of all of this tingling your taste buds? Then buy a ticket now! Food Truck Friday: I am SO excited that this event is back. Delicious Kansas City food trucks will debut at different locations each Friday this summer! Some are strictly open for lunch while other Fridays the trucks are open for a delightful dinner! Catch the food trucks for lunch on June 16th at Union Cemetery! Keep an eye out for their other upcoming locations. From mouthwatering barbecue to flavorful flatbread, be sure to savor your Fridays at the food trucks! Wine Walk on Delaware: This event recurs once a month now through October! The Wine Walk takes you through the charming history and atmosphere of Delaware Street in Kansas City. You get to know locally owned businesses in the KC area while discovering wonderful wine along the way! Catch the walk every third Saturday of the month. This event is for the 21+ crowd, and is such a pleasant way to spend an evening! For more information on walk dates or tickets, click here. KC Nanobrew Festival: This is the only event in Kansas City strictly dedicated to local home brewing! If you are a beer enthusiast, this is for you. The event is dawning on its eighth year, and is definitely all it is hopped up to be. Experience all of the brewing talent that surrounds you in KC on June 24th. Admission includes a full-size souvenir glass, food voucher, and unlimited beer tasting! Attendance is capped based on the capacity of the venue and number of beers available on tap, so get your tickets now! Is the foodie part of you excited now? I can’t wait for these enticing events to take place! If events and crowds don’t interest you as much, Kansas City is also full of amazing weekly happy hours. Wind down after a long day and situate yourself on a patio to take in the summer breeze over an ice cold drink and delicious appetizers. I suggest you try Jax Fish House, where you can enjoy happy hour all week long, or catch the sunset on the rooftop view from AEP while you munch on tasty Thai food! Do you have a favorite happy hour spot or must-try summer treat? Tell me about it in the comments below!